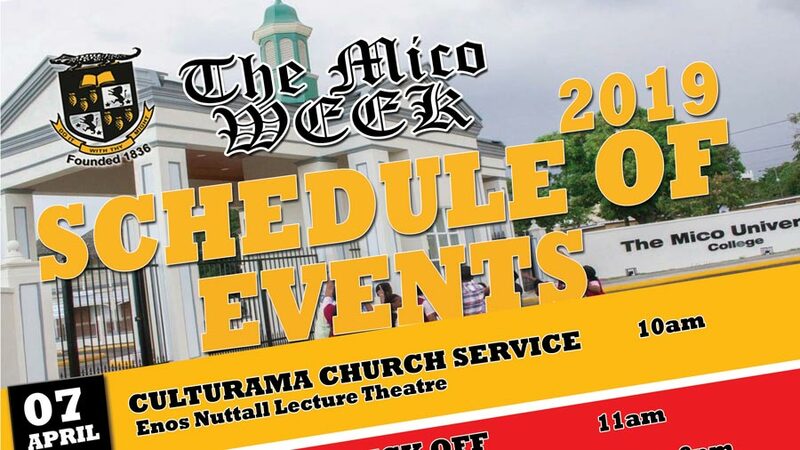 In former years The Mico concentrated on three major events during the week but for the first time has incorporated its Culturama activities within the week of celebrations. 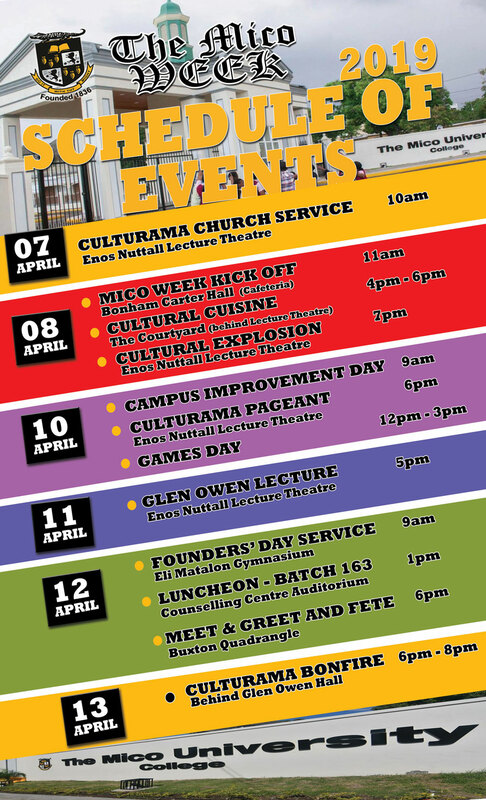 The annual activities will kick off with a Church Service that will take place on campus in the Enos Nuttall Lecture Theatre and the week will culminate with a Culturama Bonfire. Two of the major activities for the week of celebrations are the Glen Owen Lecture and the Founders’ Day Service of Thanksgiving. The Glen Owen Lecture, sponsored by the TIP Friendly Society this year, is held every year in honour of the Hon. Glen Owen who, 60 years ago, was principal of the institution. This year, Dr. Canute S. Thompson will present the lecture focusing on the theme, “Leadership Re-imagination and Governance, Imperatives for the Advancement of a Transformative Education System.” He is Head of The Caribbean Centre for Educational Planning, housed at The School of Education, U.W.I. Mona Campus. The Founders’ Day Service is a celebration of the return of the batch that came to The Mico 20 years ago. The service is a coming together of the younger students and their seniors; those who have retired and those who currently serve. It is an opportunity to engage and rekindle; and for the alumni, to give back through scholarships or other donations, to their alma mater. Mico Week 2019 will run from Sunday April 7 to Saturday April 13.